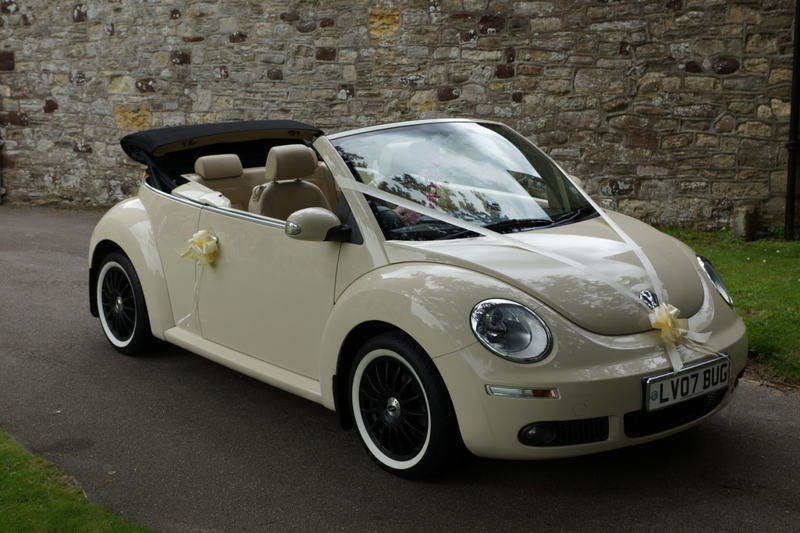 Cilla is a gorgeous example of a modern VW Beetle Cabriolet. Loaded with added extras, these make her even more unique as your wedding car. 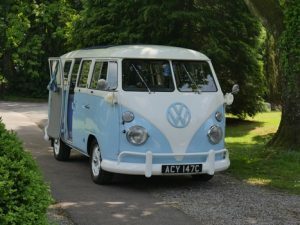 Cilla features matching cream paintwork (as seen on her cousins Elvis and Dilwyn). She has a cream leather interior with matching cream hoodbag. Air conditioned throughout, she’s finished with a load of stunning chrome extras. Add to that a new set of colour coded alloy wheels and she`s a real winner. Cilla looks great when paired with Elvis and Dilwyn or just as lovely in her own right. 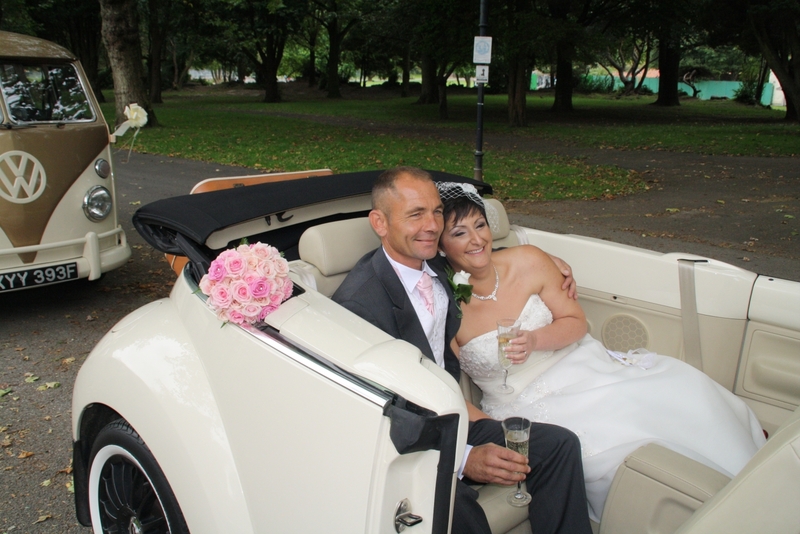 She is a stunning example of a VW Beetle Wedding Car. A guaranteed head turner that will really make a statement on your wedding day. Want to book Cilla, our VW Beetle Wedding Car?